Imagine this in your entry, dining or living area. 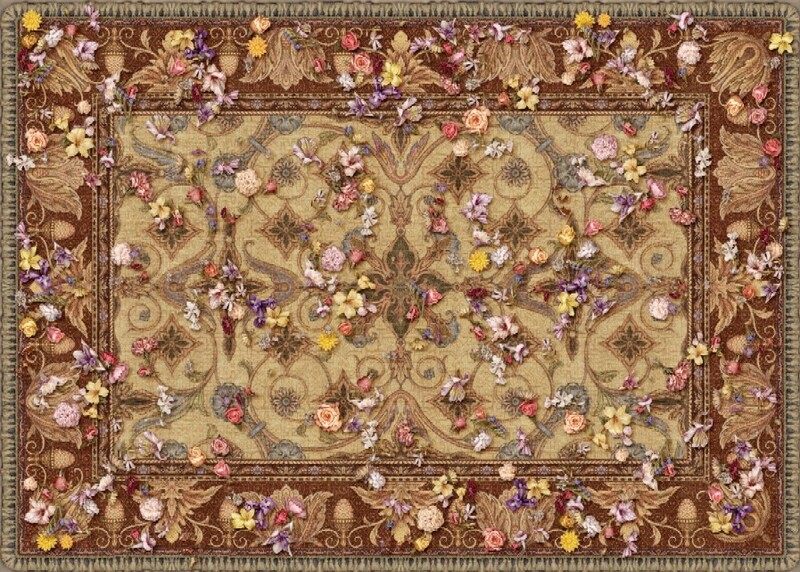 Fresh spring flowers that will last forever are scattered across this unique oriental rug design! 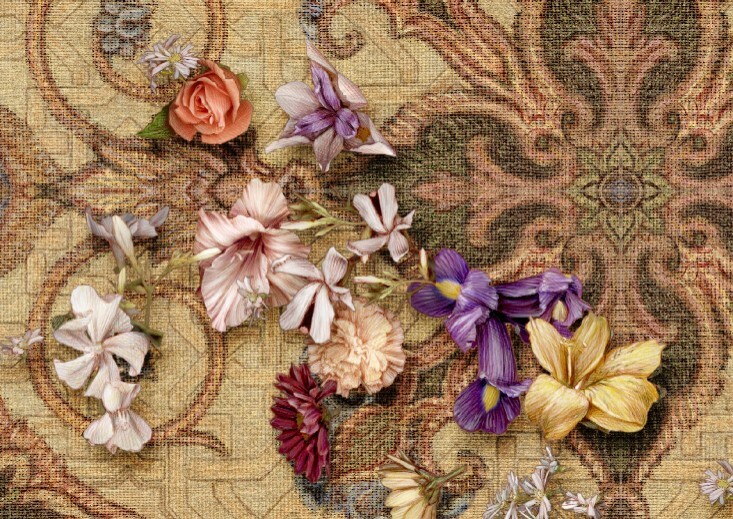 Kurt has taken one of the hottest design trends today and made it even better by using his special anamorphic perspective techniques to paint flower that appear to be 3-Dimensional on a warm Oriental Carpet Design. This design is re-created in incredible detail on the highest quality porcelain tile and shipped to you with a map for installation. The design can be made in any size and is designed to be produced on 10" square tiles – however – if another tile size fits your needs, please let us know. Each is created especially for your home by Allied-Ceramics International in New York State. 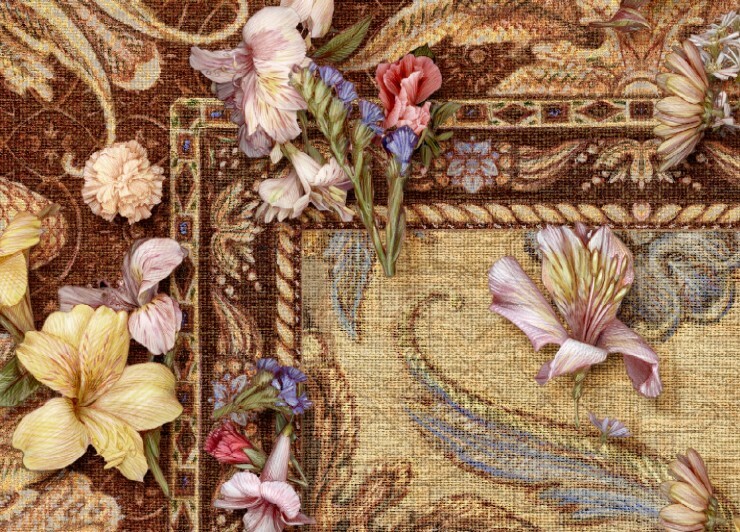 install Flower Carpet tile in your home or patio area.